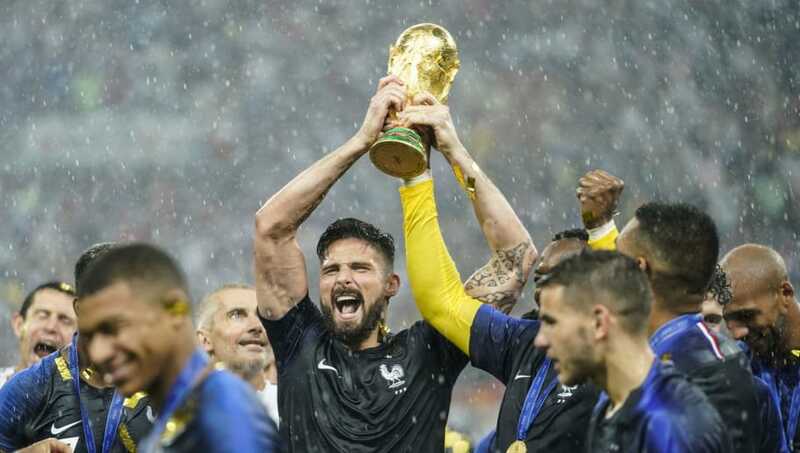 Olivier Giroud feels he has silenced some of his critics by winning the World Cup with France, having endured negative press coverage for a number of years. Giroud has endured plenty of negative press throughout his time in England, particularly during his time at Arsenal. He played every game for France at the recent World Cup though, starting in the final as France beat Croatia 4-2 to lift the World Cup trophy for just the second time in their history. Giroud went goalless throughout the tournament, with much high profile duo Kylian Mbappé and Antoine Griezmann claiming the majority of the plaudits after scoring four goals apiece. That led to more criticism of Giroud, though he remains unperturbed by his critics. Speaking in an interview, as quoted by ​Sky Sports, Giroud said: "All of my career I have been, how can I say... I have been through certain difficulties and I have always tried to make it. Giroud was a mainstay in the French side throughout so he was obviously playing an important role in Deschamps gameplan. The forward continued to reflect on France’s success: “It's a great feeling - I mean, 'it's coming home!' I had to say that. “Honestly it's a dream come true, a childhood dream. I am very proud for all the people who supported us, and myself. "It has been sometimes difficult you know but it is a privilege for me to be part of this team. We have been very solid, very strong all the way, until the end. And I think it's well deserved." Giroud will now enjoy a break from the game before returning to pre-season at ​Chelsea, where he will hope to add to his 110-goal tally in English football, 105 of those having come during his time at Arsenal.